There are four airports linked to the city, but Arlanda is the one that serves the largest number of international carriers. Getting into the city is very expensive by cab – and there is no uniform regulatory fare system – so you’ll be better off getting a coach or train. The coach will take about 45 minutes to reach the city centre. Arriving by train via Hamburg or Copenhagen is more fun and can be a lot cheaper than flying if you book in advance (www.sj.se). Driving seems easy enough, with none of the congestion you see in bigger European cities, although parking isn’t cheap or particularly plentiful. You can walk across the city easily, but it’s not possible to cover all the stores here by foot alone. Cabs are easy to hail if you can afford it and there is a good bus, tram and metro train system. The system accepts a day or 72-hour travelcard, but the Access card is best for longer stays. Hiring a bike to get across the largely flat city is possible across the summer. 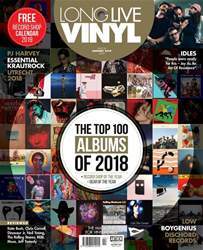 More than one Stockholm record dealer tells me that the country’s relatively stable economy over the decades sustained a buoyant music industry, leading to the abundance of great used vinyl you can source here today. This is another of those must-go destinations for cratediggers but, like other key centres such as Berlin or Amsterdam, you’ll need a lot of time to do it true justice. A few of the stores have fallen victim to the creep of the coffee chains and the like, but there’s still a lot left. Across a packed day, I managed most of them, but An Ideal For Living was closed on the day I was there and I just couldn’t reach others such as the Little Shop Of Records or Kollaps. A few, such as Classical Bay, I ditched on the assumption that their passion for Beethoven wouldn’t be a match against mine for Bananarama.